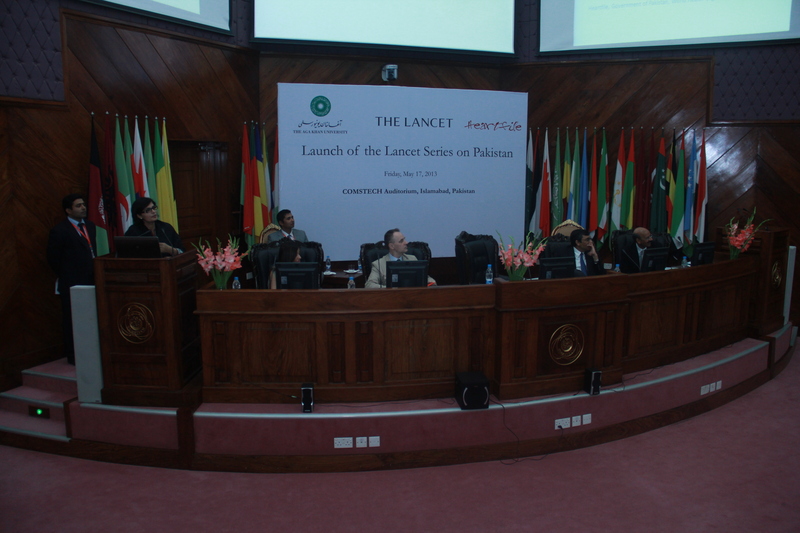 May 21, 2013: As Pakistan begins its voyage in reforming its healthcare infrastructure, Heartfile and Aga Khan University jointly hosted the launch of the Pakistan Lancet Series at Comstech Auditorium in Islamabad on May 17, 2013. 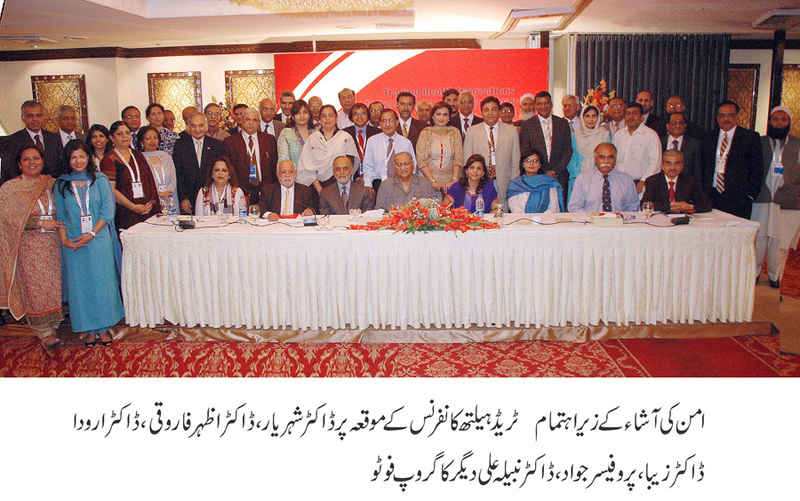 The series titled Health Transitions in Pakistan was revealed by Dr. Richard Horton, Chief-in-Editor of the Lancet. The Series Editors, Dr. Sania Nishtar, Federal Minister, Government of Pakistan and Prof. Zulfiqar Bhutta, the founding director of the Center of Excellence in Women and Child Health, Aga Khan University were joined at the panel by Dr. Richard Horton, Prof. Tazeen Jaffar of Duke-NUS Graduate Medical School, Singapore and Dr. Abdul Ghaffar, Executive Director of the Alliance for Health Policy and Systems Research, WHO, Geneva. The meeting opened with a video message by Dr. Margaret Chan, Director General of WHO who praised the formation of the health division in Pakistan. The four papers published were then presented by the panelists. May 13, 2013: Cervical cancer kills an estimated 275,000 women every year and 500,000 new cases are reported worldwide. Cervical Cancer-Free Coalition, a US-based research and advocacy group released their first Cervical Cancer Global Crisis Card globally on Friday, May 10, 2013. According to this report, Pakistan was ranked seventh in cervical cancer death statistics. The press release for the cervical cancer global crisis card upon its Pakistan launch can be viewed here which quotes Dr. Sania Nishtar’s concerns profusely who calls for an immediate intervention post elections.